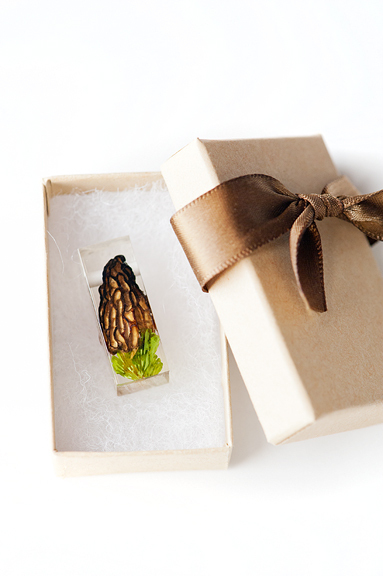 When I first began foraging mushrooms several years ago, I got an idea in my head that it would be cool to dry a perfect slice of porcini mushroom to send to my friend, Sumner of Spotted Dog Farm in Asheville, North Carolina, to make a pendant or bracelet. I’m not a jewelry person, but I do love Sumner’s beautiful botanical resin work, and she said she thought it was a neat custom project to try. For some reason, the porcini in cross section just didn’t appeal to me enough to pursue it. 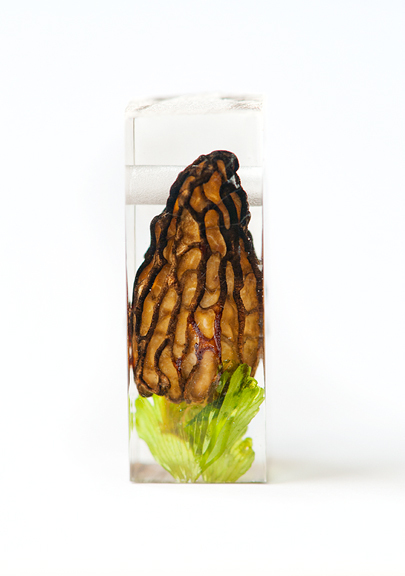 But this past spring, I had collected enough black morels to set aside the cutest and tiniest of my haul to dry. The first two that I dried in our arid Colorado mountain air were lying on their sides, on a plate. I think the sides that were touching the plate dried at a different rate and resulted in somewhat lopsided specimens. The next four I set atop toothpicks a la Game of Thrones so they could dry as symmetrically as possible. 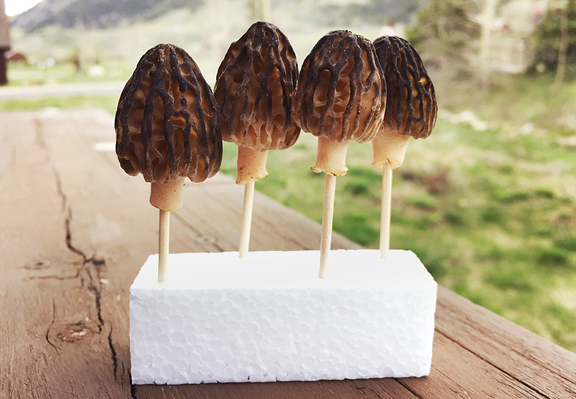 I shipped these 6 morels to Sumner, identifying the lopsided ones as “test subjects” and the other four as potential keepers. 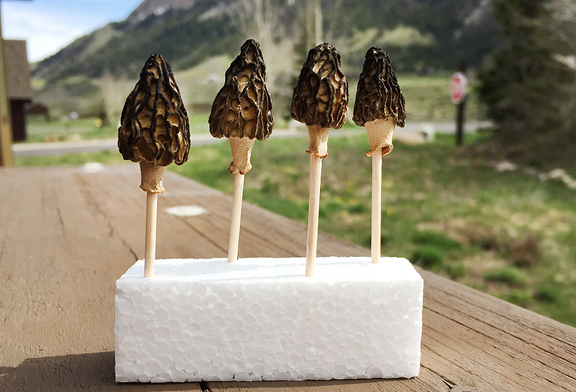 Over the summer, she made them one by one, perfecting her technique (the morel surface is covered with tiny pits which can create air bubbles in the resin) and last week, she sent me the results! We weren’t sure how many would turn out in the end, if any at all. But Sumner had two that she thought were the best. I purchased those from her – one for me, one for my foraging pal, Erin. And I told Sumner to keep at least one of the others for herself to wear since she was digging on the mushroom jewelry. It’s just a nerdy little thing, but I love it because it is a permanent tangible record of my mushroom adventures that I can hold in my hand. And it connects me with two mountain women whom I love and admire. I was able to let Erin choose which pendant she wanted over the weekend when we hosted a dinner party for our fellow mountain dwellers. 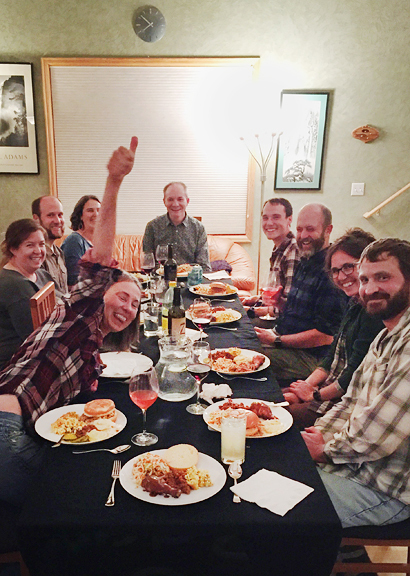 My dinner parties always serve multiple purposes: 1) to cook for and feed my friends 2) to spend time with friends and 3) to introduce my friends to one another. I guess we can also add 4) to get Neva used to behaving around other people. By the end of the evening when everyone had gone home, Neva was snoring in her doggy bed, and Jeremy washed dishes while I cleared the tables and put the leftovers away, I smiled to myself and told Jeremy that we know some really great people. We call them good apples and I’m glad they’re in my life. Seeing as apples are in season, it’s time to pull out the baking pans, the cinnamon, the butter, and those apples. 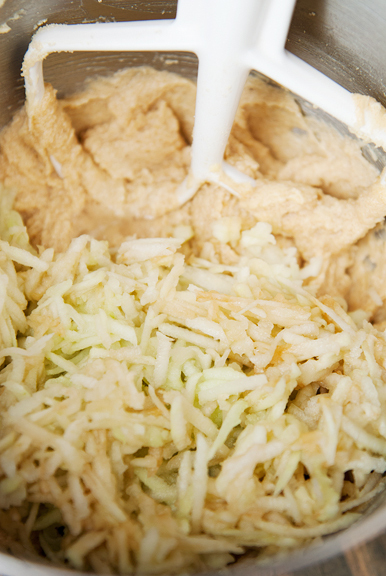 I love apple cakes that involve mixing everything together, pouring the batter into a pan, baking it, then eating it. 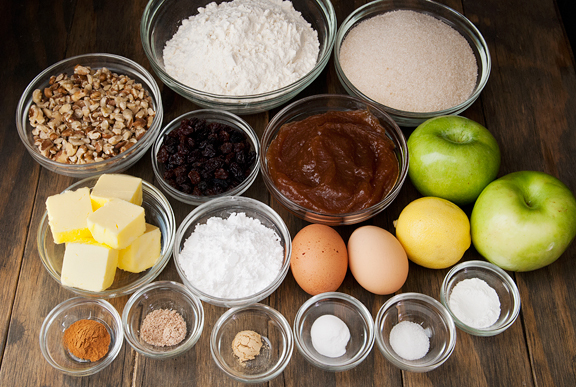 That’s gateway baking – easy baking. These are the cakes that hook you into the more complicated recipes as we march ahead into winter. This is the kind of recipe that comes together quickly and easily for those potlucks, office gatherings, school functions, whatever it is you do that requires you to bring a cake. And it comes from Dorie Greenspan. 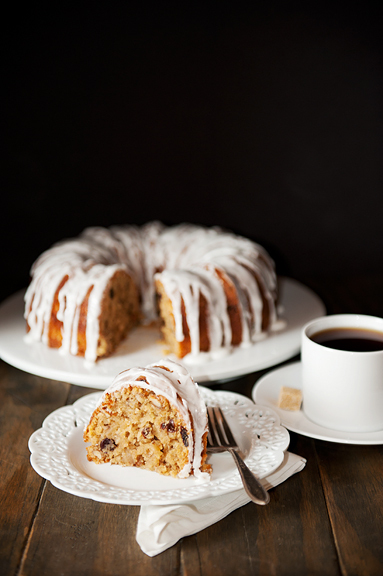 You will want to make this double apple bundt cake. Many of the apple cakes I’ve tried skimp on the “apple” part of the cake. That’s such a disappointment. It reminds me of my childhood when I saw blueberries dotting a bowl of otherwise boring cereal on the cover of the box and I insisted on THAT cereal only to go home and find zero blueberries inside. Life doesn’t have to be that way. Dorie’s cake contains shredded apple AND apple butter, which gives a double hit of apple flavor as well as a nice tender crumb. 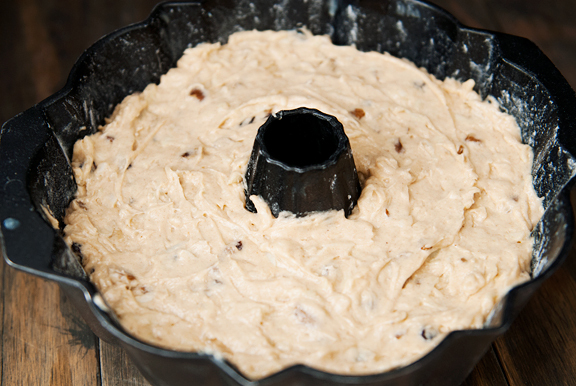 If apples weren’t enough, this batter is loaded with raisins and nuts. I have mixed feelings about raisins in my food. Sometimes they just don’t work, but other times they can really transform a cake with bursts of fruity sweetness dotted throughout. I’m tempted to try rum-soaked raisins next time, because need I remind you that the holidays are just around the corner? The cake bakes up nicely, even at my altitude. I did reduce the leavening by a touch, but I think the apple butter keeps the batter from rising too quickly at high elevations. Even though my bundt pan has a non-stick coating, I buttered and floured the inside to ensure a cleaner cake release. It’s just too maddening for me to invert a cake and have it tear itself apart because it stuck to the pan. 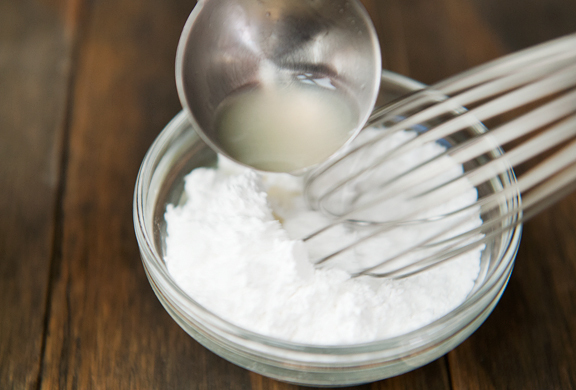 After the cake has cooled, you can drizzle it with icing or dust with powdered sugar or serve it up plain. 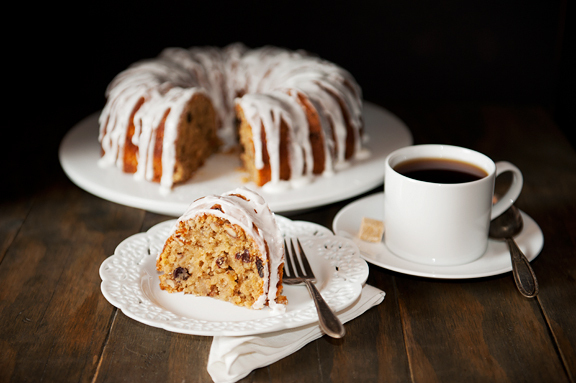 If you are in the mood for fall and apples and freshly baked cakes, give this one a try. It’s a low commitment bake. 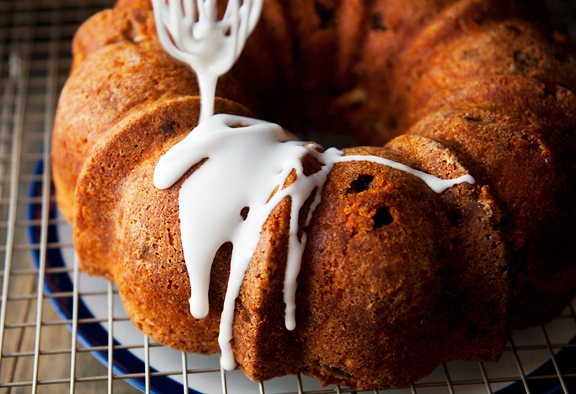 Each slice is moist, full of apple flavor, and studded with nuts and raisins. It isn’t too sweet and makes for a delightful pick-me-up in the middle of the day or at the end of a meal. Apples are good. Apple cake is great. Good apples are the best. Preheat oven to 350°F. Butter and flour a 12-cup bundt pan. Do not place the pan on a baking sheet. 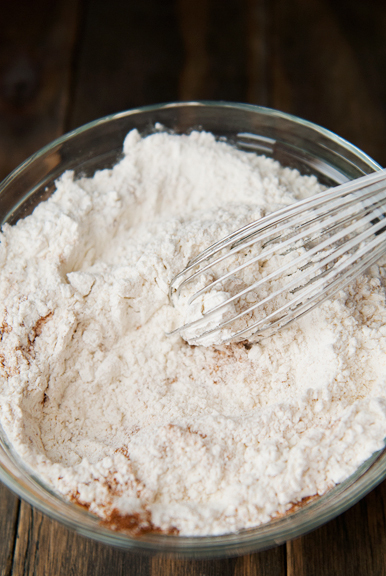 In a large bowl, whisk the flour, baking powder, baking soda, cinnamon, nutmeg, ginger, and salt together. 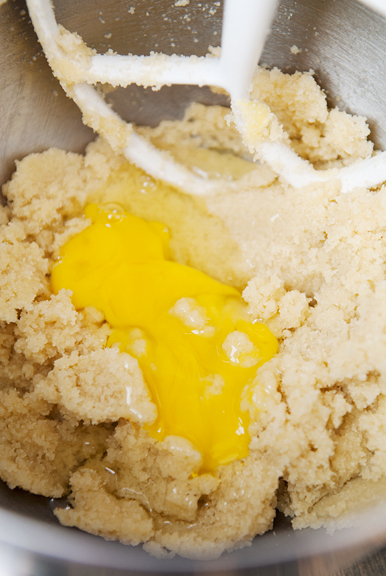 In the bowl of a stand mixer beat the butter and granulated sugar together on medium speed with a paddle attachment for 3 minutes until it is thick and pale (scrape down the sides as needed). Add the eggs, one at a time, beating for a minute after each addition. 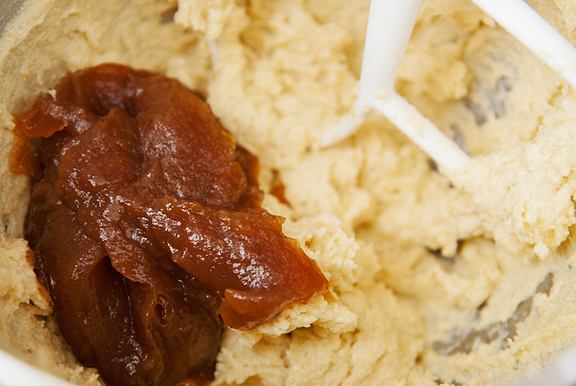 Reduce the mixer speed to low and add the apple butter. 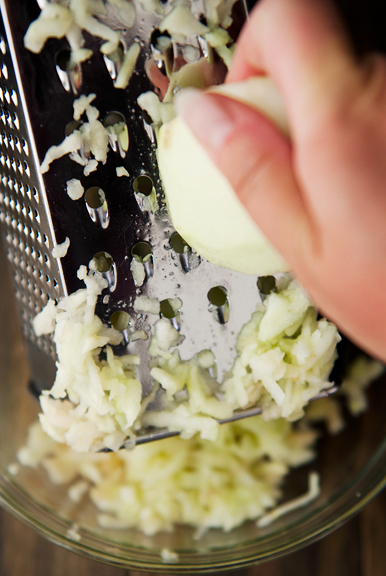 Stir in the grated apples. 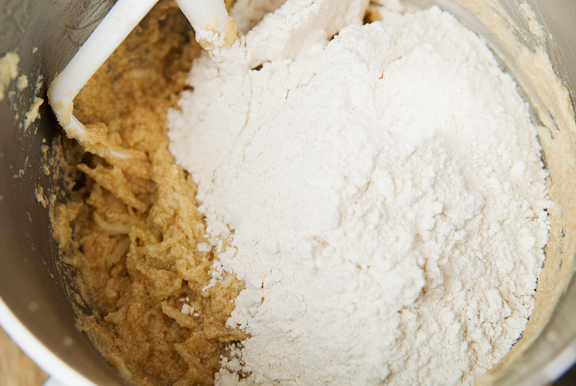 Add the dry ingredients to the wet batter and stir until the ingredients are just incorporated. 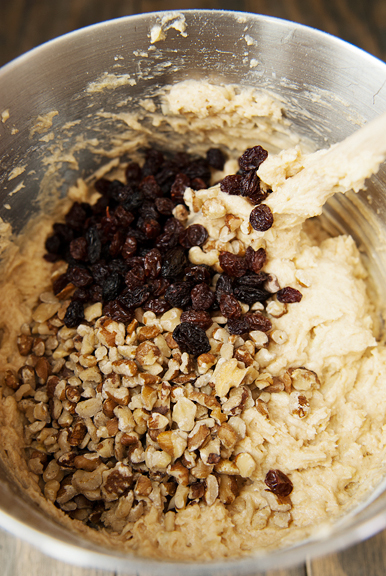 Fold in the nuts and raisins. 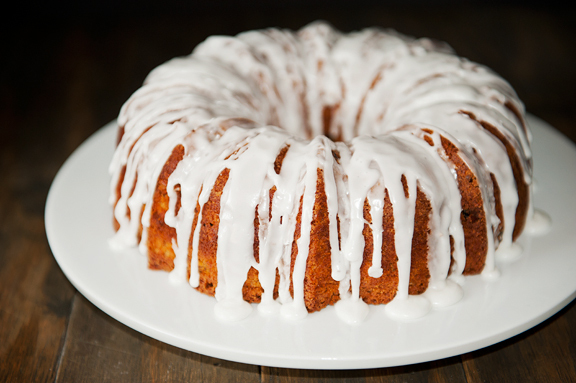 Pour the batter into the bundt pan and bake for 50-55 minutes until a toothpick inserted in the center of the cake comes out clean (moist crumbs are okay). Remove from oven and let rest for 5 minutes. Unmold the cake onto a cooling rack and allow to cool completely. 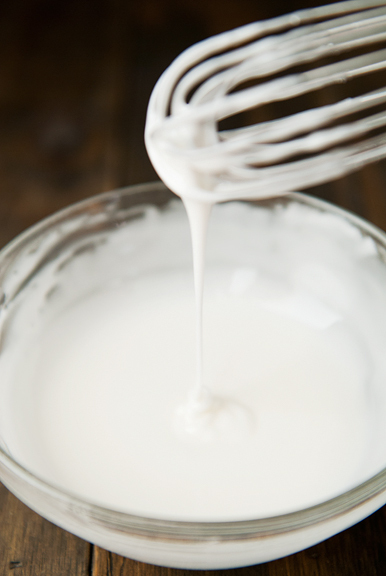 In a small bowl, whisk the confectioner’s sugar and lemon juice together until smooth. When the cake is cooled, drizzle the icing over the cake. Serves 12-16. Well shoot, I just saw an Ottolenghi apple cake that I wanted to try, but a Dorie apple cake might be too much to resist. Or I can figure out lots of people to share with, and make both. Your morel necklace is lovely. Such a neat idea. It’s good to have at least a few good apples. 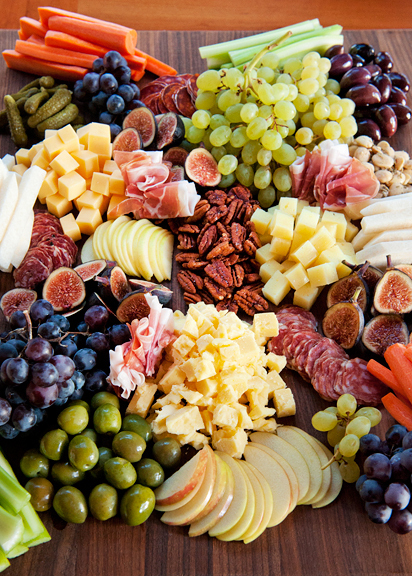 :) That cheese platter is just stunning. As is the picture of Neva on the couch. The perfect cake to make for my upcoming quilting retreat. The ladies are going to love it. Beautiful cheese platter. Printed the beautiful photo of appetizer plate for future inspiration. What a grand view! Yum! The combo of ‘shroom pendant + that cheese board…I’m in love with this post. I’m trying to pinpoint why your cheese plate looks so dynamic, and it’s seriously ‘je ne sais qoui’ for me! Any tips? Is that an orange leather sofa? I love it! 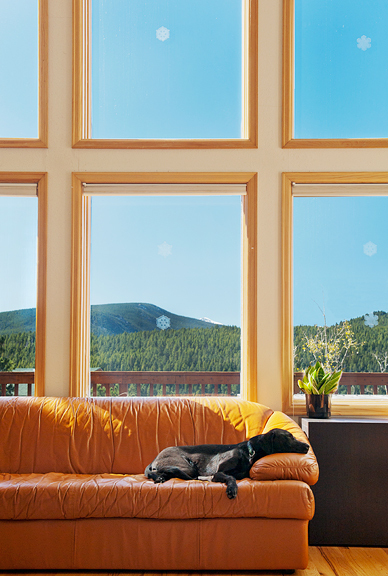 That photo of Neva with the rectangular windows framing the view is just beautiful: the oranges and blues, the height of the windows, the low sofa and the black dog slumbering in the light. Jean Ann – You’re sweet, and really all you need to do is gather your favorites and arrange them together! monsoonmiss – I generally pick about three types of any “thing” and distribute accordingly. For instance: 3 types of cheese, 3 types of fruit (but 2 kinds of grapes), 3 types of salumi, 3 types of crudité, 3 types of olives/pickles, okay 2 types of nuts, 1 prosciutto, etc. Like I told Jean Ann, just select your favorites and load em up!